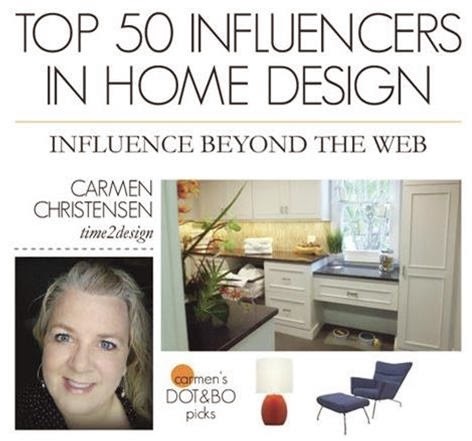 What an honor it was to be one of 8 designers selected to participate in the Inaugural Thos. 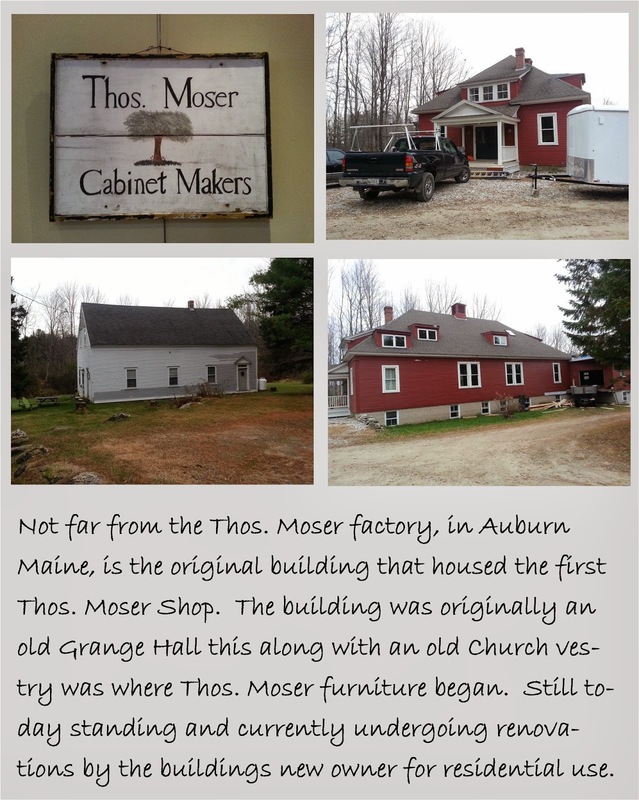 Moser Maine Event. 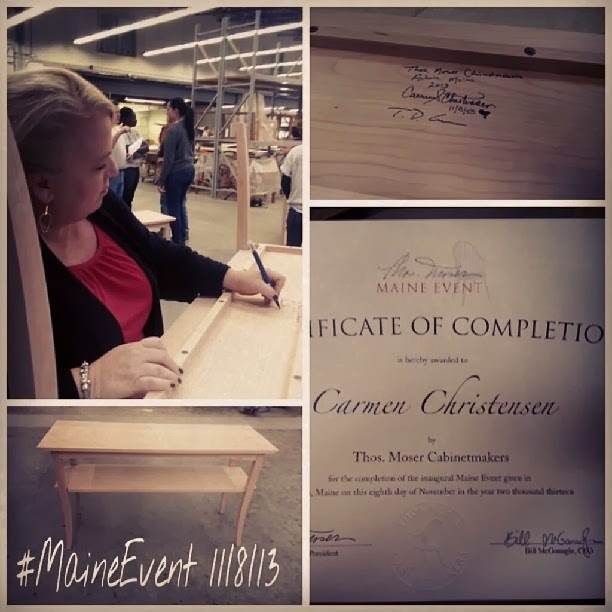 We were flown to Maine to learn first hand how to build a piece of furniture and become immersed into Thos. Moser. First off a bit about Thos. Moser and the history ~ this video really says it all. Each time I watch this video I see a few people I met and spent time with, many who have worked at Thos. Moser for a decade or more. And yes you heard right, Thos. 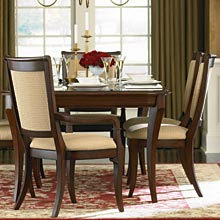 Moser furniture comes with a Lifetime Warranty, that means the Lifetime of the piece of furniture! So now let me tell you a bit about my time and my experience at Thos. Moser. Shortly upon arrival to their factory in the small town of Auburn Maine, it was abundantly obvious that the people that work at and for Thos. 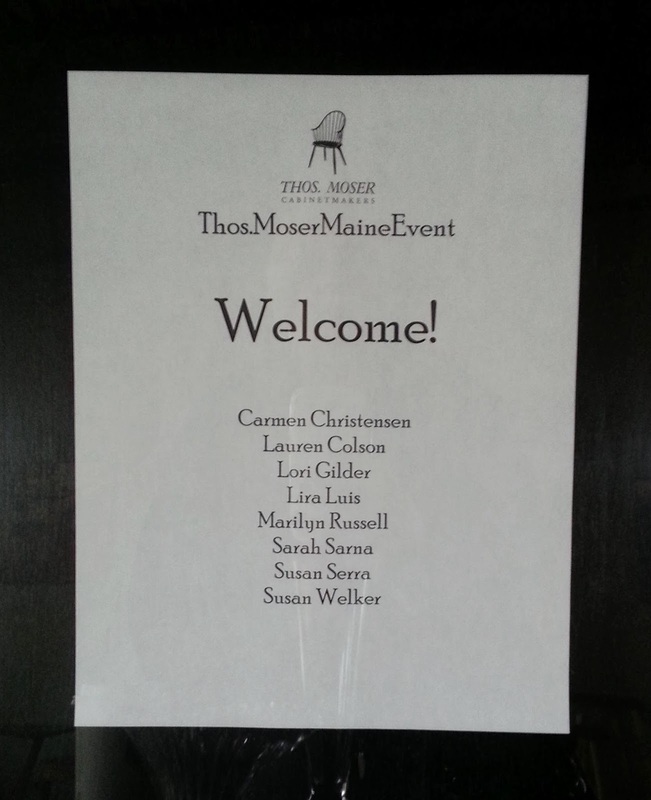 Moser are dedicated and proud members of the Thos. Moser Family. I say family and not company because the people who work at Thos. Moser are like a family. 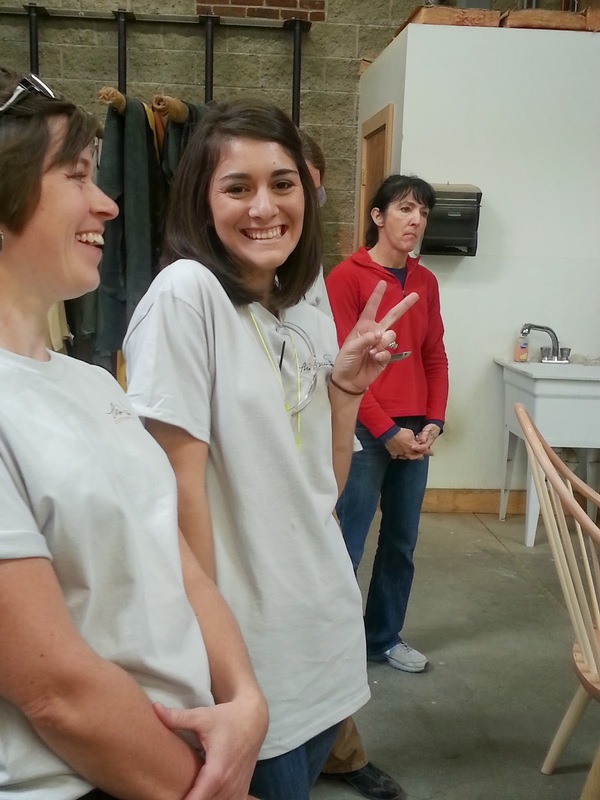 In fact there are numerous employees who have other family members working along side them at Thos. Moser, and many have worked there for ten years or more. 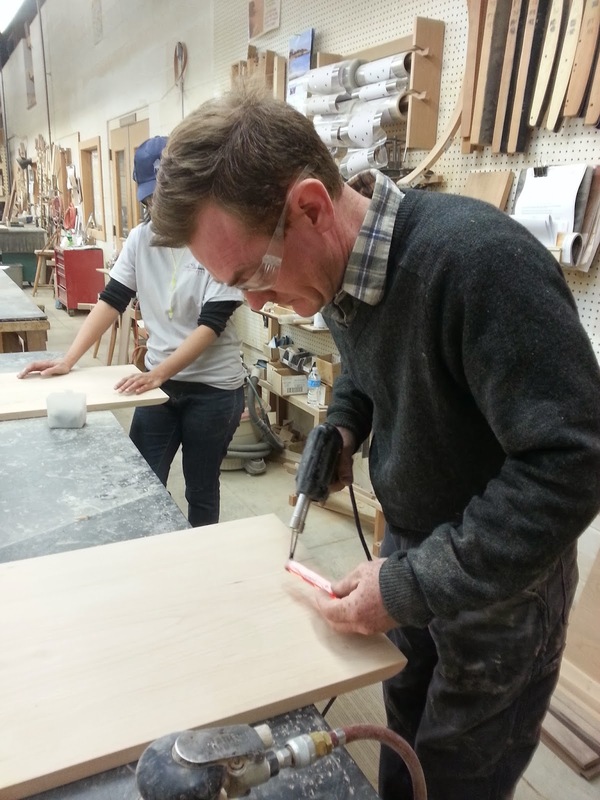 After a few introductions and a quick tour of the factory we got right to business, there were eight of us so we were divided up into groups of two to build four different pieces of furniture. We would each be building our own individual piece in teams of two with a Thos. 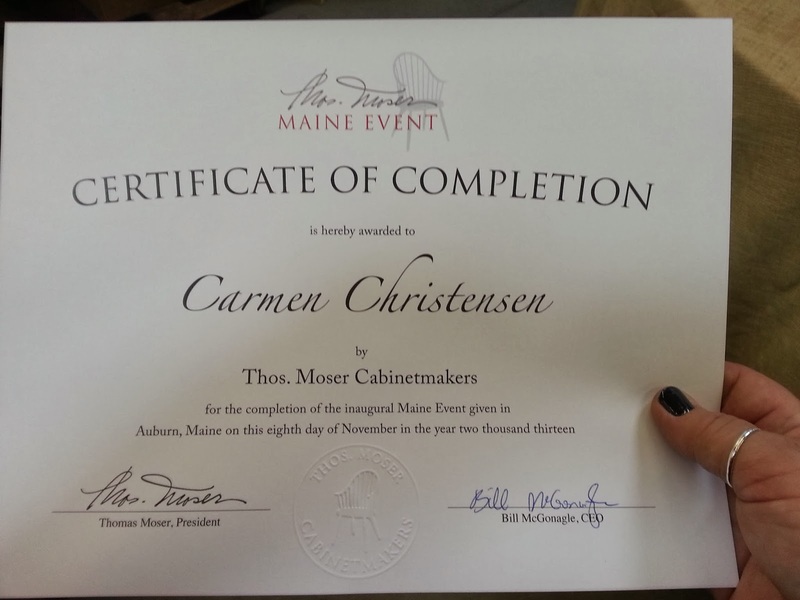 Moser master cabinet maker. 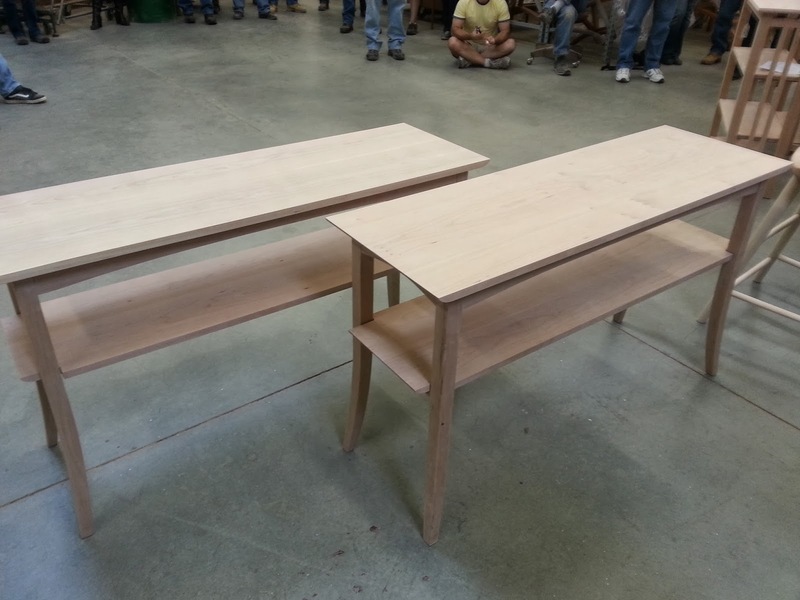 Here are the four pieces selected for us to build. 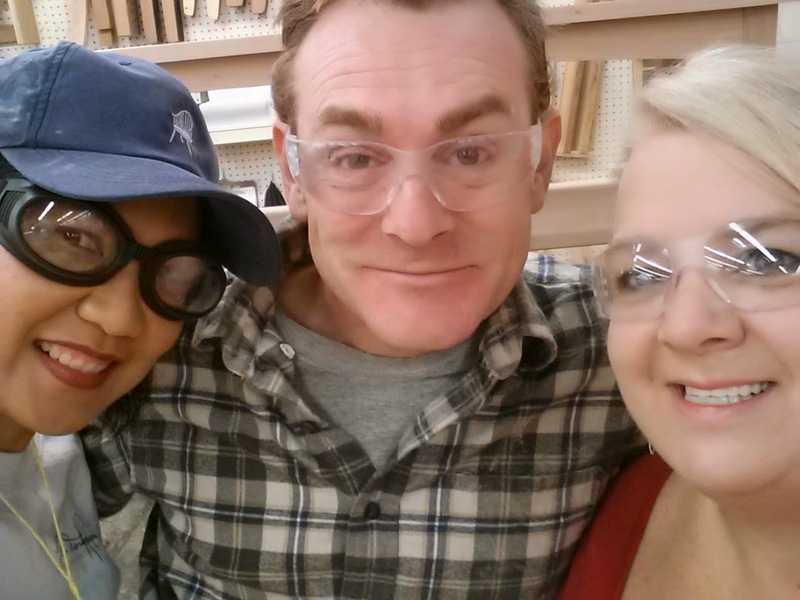 I was paired with my new friend Lira Luis and we had the pleasure of joining Teke Gronros, Master Cabinetmaker, at his workbench. We set out to build our piece of furniture. I am sure Teke had no idea what he had gotten himself into, nor do I suppose he was used to such lively workbench mates. He was a total professional, a fabulous mentor and superb teacher. By the end of the first day our new mentor and shopmate Teke aka “Teak” was sharing his space with Lira aka “Cherry” and myself (Carmen) aka “Walnut”, our newly self appointed shop names. We had some good laughs, learned so much and immersed ourselves into the Thos. Moser way of life. The dedication and pride were evident and expressed all around us. I started to notice these signs and then I realized it wasn’t just a saying but a way of life in the Thos. Moser factory, these people were living this truth. 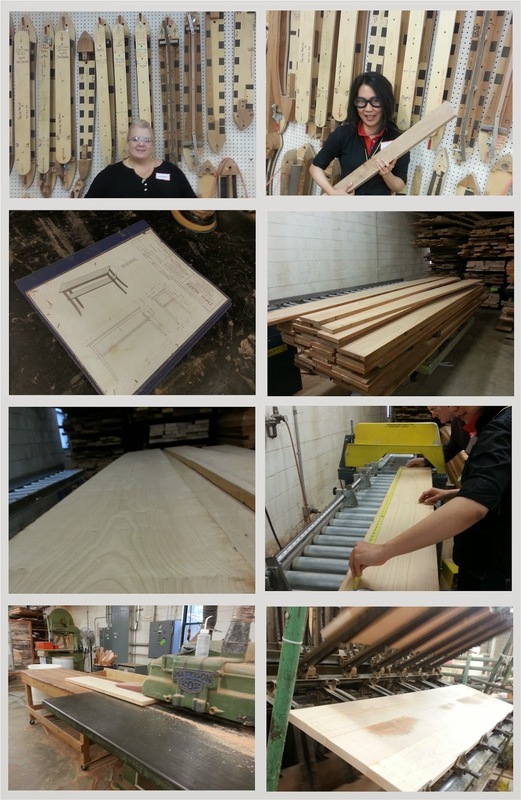 And so the building began, we started out learning that each piece of furniture that is built at Thos. Moser has its own unique set of drawings and specifications on exactly how each individual piece of furniture is to be built. Thru the guidance and skill of Teke’s and with his immense patience we immersed ourselves into the building our piece of furniture. First up was selected the raw wood slabs that would become the top of our tables. They then had to be glued together, left to cure for an hour or so and then we took those slabs and passed them through a series of planers and sanders. 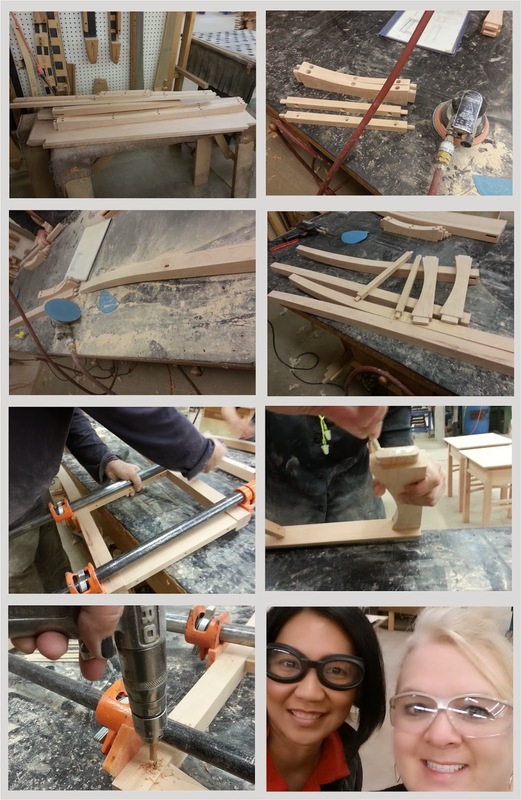 With our tops made we had brought them to the CNC machine where they were cut to size and the edge detail was cut. After this we were back to the bench for more sanding, sanding and more sanding of all the individual pieces. There is nothing like the smell of freshly cut or sanded wood. I have to share with you what a truly personal experience this was for me from selecting of the specific pieces of wood and then the hands on sanding, it truly generates a tactile connection to you (me) the builder and the piece that was being build. The amount of sanding was both time consuming and intense. In those moments a deep connection is formed between the wood, as it transforms into a piece of furniture, and the builder. 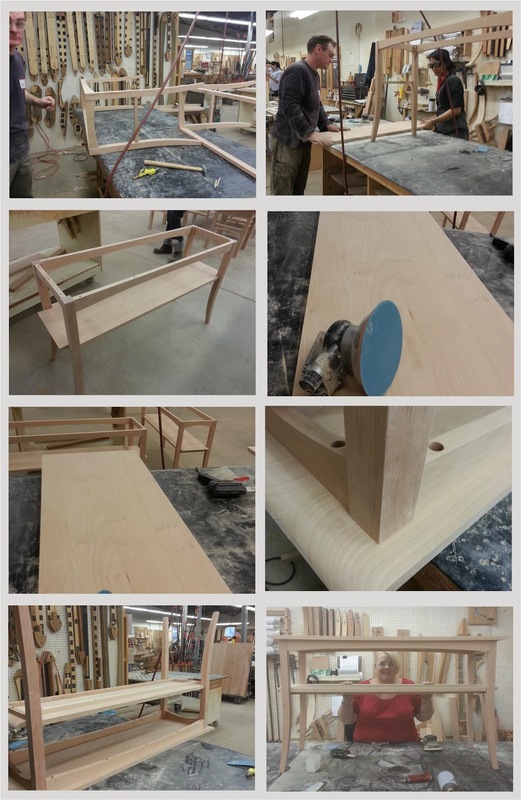 When the actual assembly and building of the table began, putting the pieces together, it was amazing how each piece fit together perfectly and the table began to take shape. 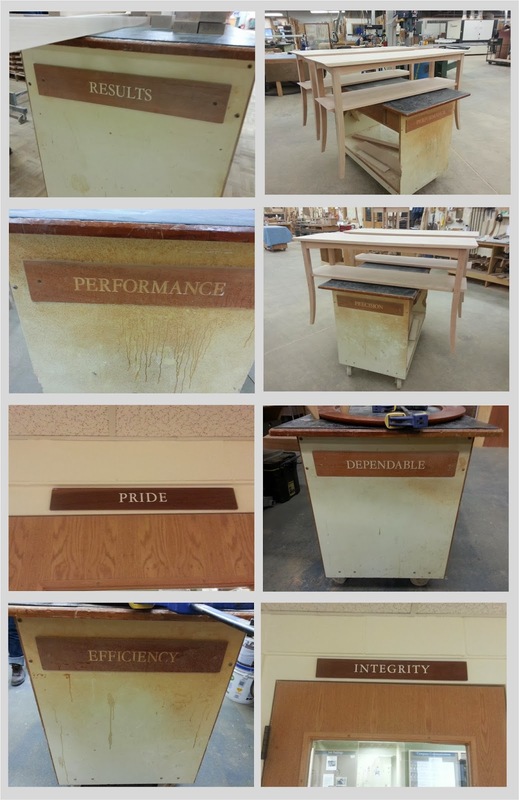 Through those three days we learned the techniques and craft necessary to build and create these amazing pieces of heirloom quality furniture. The attention to detail and the quality of each piece that is created is amazing to see and experience. We leaned that what was taking us three days to build, Teke explained he builds in a day. It was in that moment we truly realized the true talent that surrounded us in each and every Thos. Moser team member. 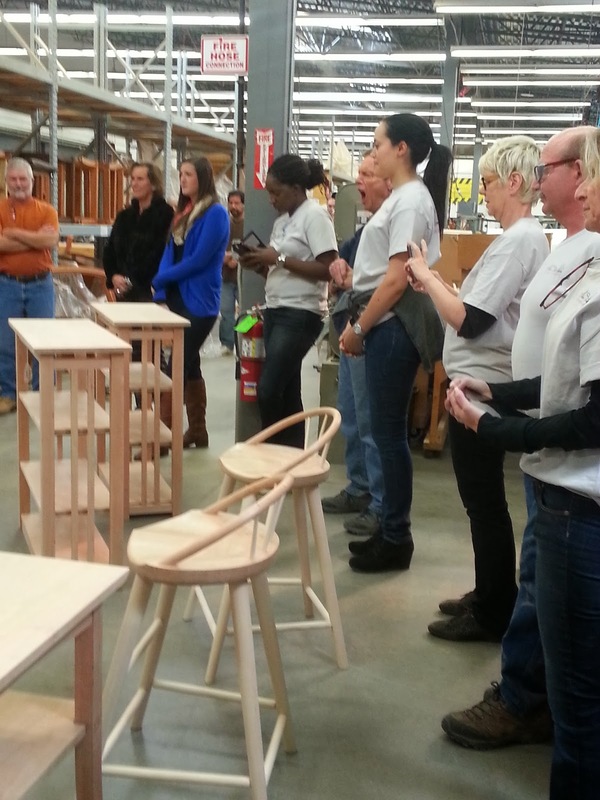 The amazing craftsmen, their talent and the true love and dedication that goes into every piece of furniture they build. No matter how big or small. 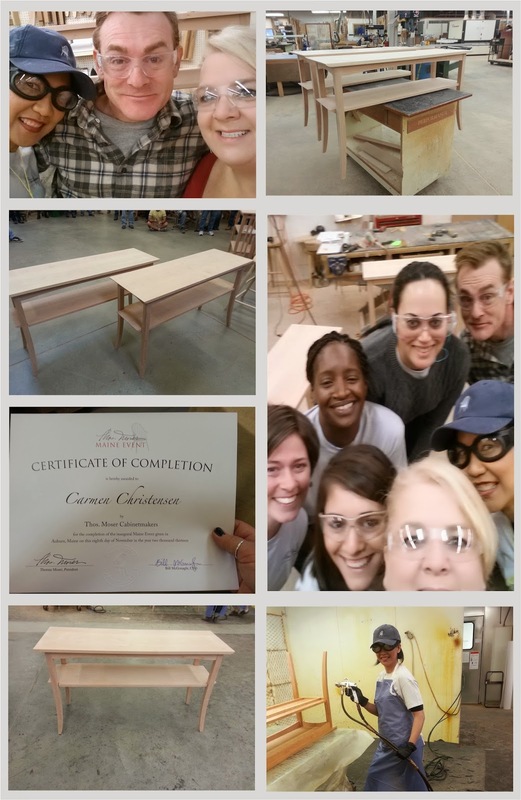 Once we had completed our piece we were told there would be a “Signing Ceremony” where we and our instructor would have an opportunity to sign and date our piece the same way each and every piece of furniture that is built at Thos. Moser is signed and dated by the cabinetmaker who built it. We, along with all of the Thos. Moser employees, gathered at a special area for the “Signing Ceremony”. This would be and was the culmination of the whole experience where we would stand proudly by the piece we made and be recognized as we signed our own Thos. 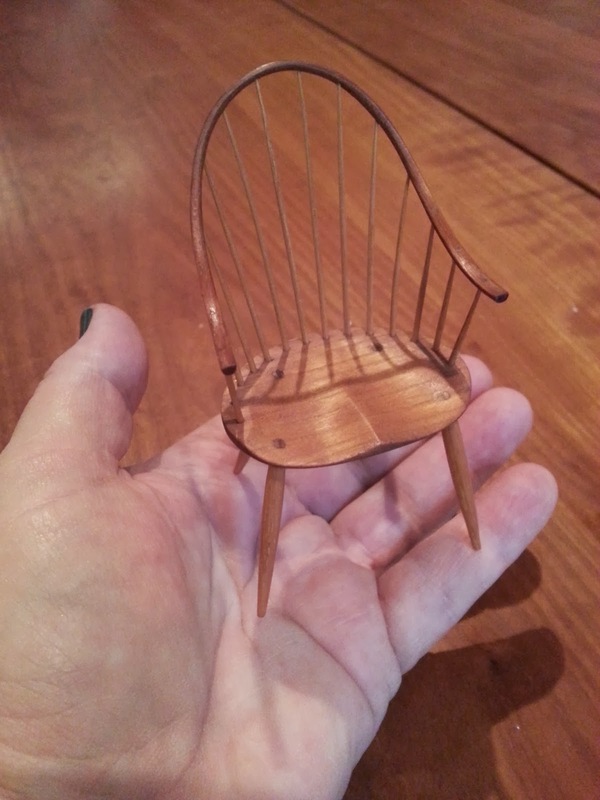 Moser piece of furniture. As we were getting organized we were told we would be introduced and have an opportunity to say a few words about our experience. Yikes! What? What? My mind went blank and I immediately went into a sort of panic, and I wasn’t sure how I would be able to stand before this now large group of people whom I had come to know, spent a few days with and whom I truly admired and explain to them what an amazing experience this was, and I wondered how I would ever be able to accomplish that without being overcome with emotions. And so it began, there we all stood next to the piece of furniture we had built and the introductions began, my mind raced as I listened to each one before me give a very eloquent and thoughtfully spoken words of gratitude about their individual experience, the whole time my mind was scrambling to put something together…and as my turn arrived and I was introduced, I stepped forward and all I could hear coming out of my mouth was blah, blah blah blah...I was babbling on, and I am sure I made absolutely no sense because I found myself overwhelmed with this unexpected emotion and I knew I had to wrap it up or I would be a crying mess and not be able to say anything. I was quick to say thank you, I think I mention what a great time I had and who knows what else came out of my mouth, I just kept it short and sweet and got done as quickly as I could as the tears welled up in my eyes and before I lost complete control I said thank you and quickly stepped back. In retrospect I realize I didn’t adequately express or explain how my time had effected me. 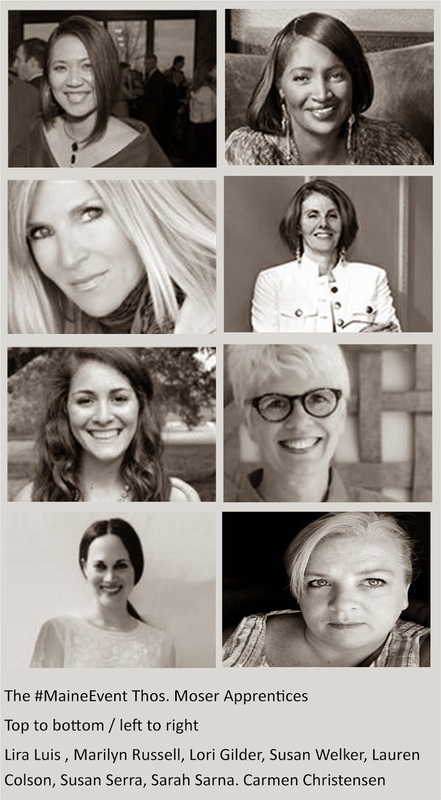 I was truly touched by the whole encounter and found it to be such a rewarding experience. Those few days at Thos. Moser, spending time in their factory, touring the facility, having this hands on experience, seeing and learning how much care and dedication goes into each piece of furniture, and most especially meeting and learning about the people who work there, hearing their stories, what brought them to Thos. 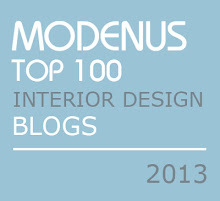 Moser and what keeps them there was truly a gift. It is this type of quality and dedication that will give anyone who owns a piece of Thos. 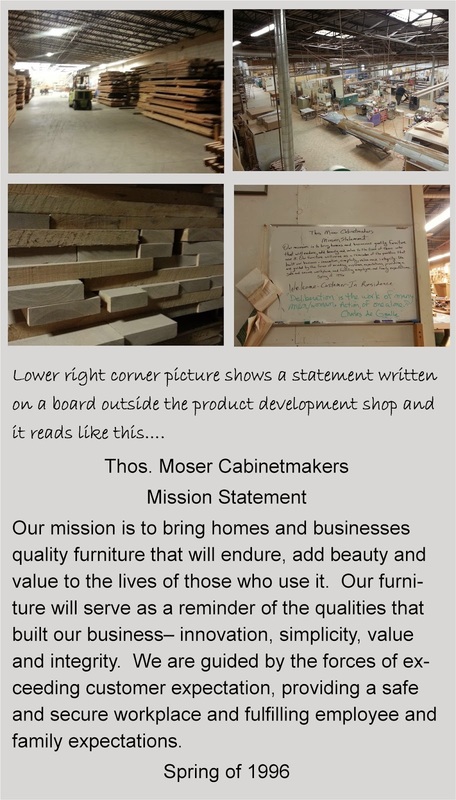 Moser furniture a real sense of pride and honor in their home. A true heirloom built with pride! 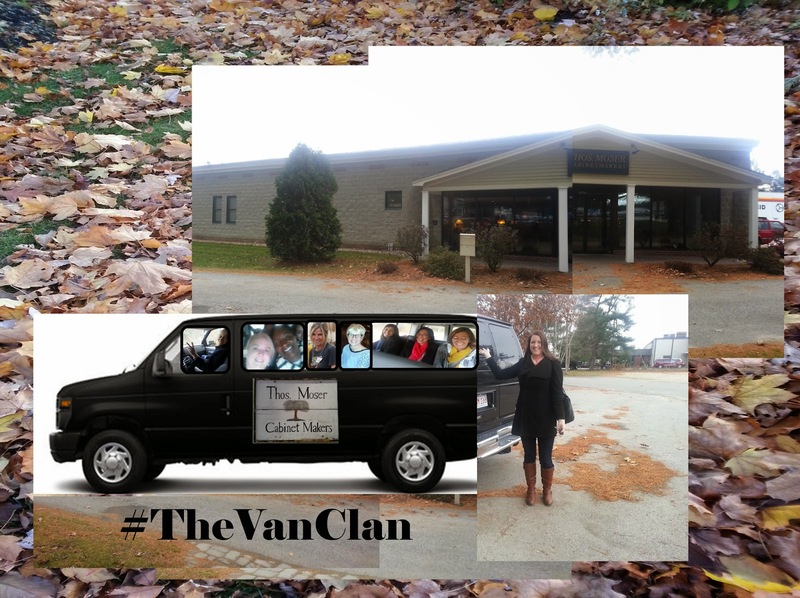 Thank you so much and a special shout out to The VanClan!!! 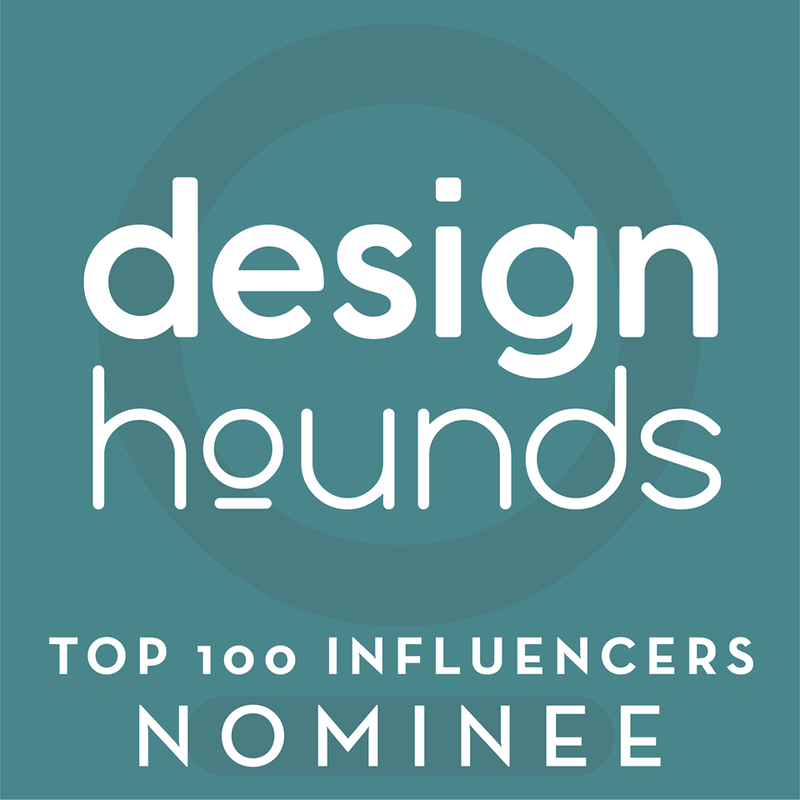 I was so disappointed to be #10 of 8, as this sounded like a dream to me. 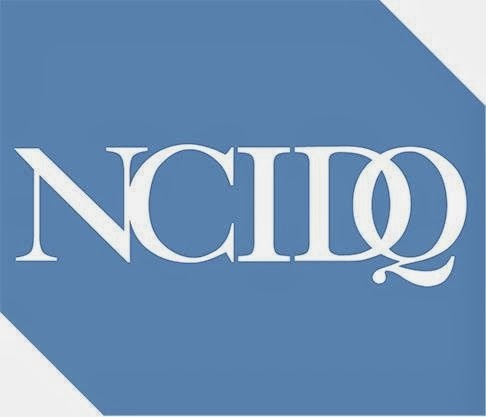 I hope to apply and get accepted next year. What a great adventure. I am so glad you enjoyed it. 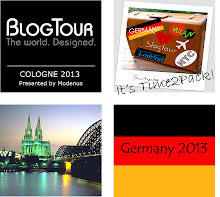 Great Post Carmen.....and such memories. 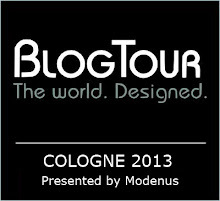 I need to get crackin' on my post of this wonderful and memorable event!!! Can't wait to see you next month!! Thank you Marilyn...was such a rewarding experience and so fun sharing it with you! 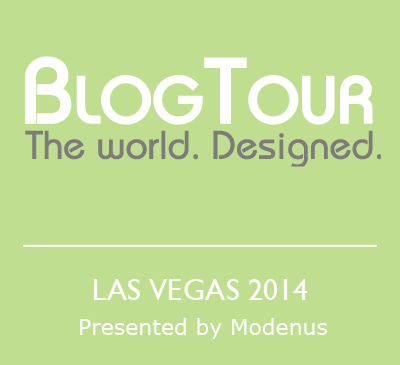 See you at BlogTourVegas! !